Departing from our Harbour Square docks we sail up the Gulf ICW (intra-coastal waterway) to Longboat Pass- a local favorite destination with plenty to do and see! We'll stop at the popular sandbar just off Jewfish Key for some swimming, snorkeling, kayaking and wading (warm water months) and then visit "Beer Can Island" for some Gulf shelling before heading back down Key to our dock. Please- Pack a towel, dry clothes, a hat and sunscreen. 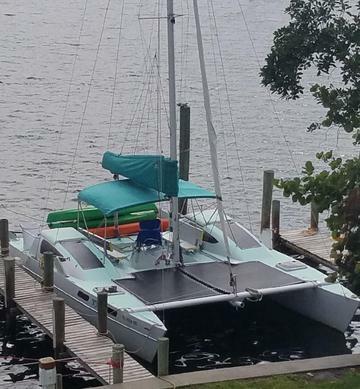 Longboat Key- "Electric" Sailing Year Round! Even a sailboat needs a motor to get in and out of her dock. No longer propelled by a fossil fuel gasoline outboard, KT2 uses clean, green and quiet electric propulsion. State of the art lithium batteries and electric drive components minimize our carbon footprint. No longer "polluting for pleasure" advanced high efficiency solar panels provide additional clean energy while we're sailing! You cannot get out on the water in a greener vessel than KT2! Complimentary Bottled Water & Parking! Sailing, Snorkeling, Kayaking, Shelling. Includes Lunch! They're out there somewhere and we aim to find 'em! Spend part of your day sailing on Sarasota Bay. Add a 3rd hr @ discount- See our "True Sail"
Because sometimes 2-hours just isn't enough! Florida's favorite 2 Hours of Tranquility! Romantic Sunset Sail on Sarasota Bay. Once a month Mother Nature adds a special effect to our nightly Sunset Sail with a rising Full Moon over beautiful Sarasota Bay. Departing just a little later than usual this is a Sunset Sail not to be missed!